Implementing high-density WiFi solutions in stadiums and arenas provides a competitive advantage while meeting the needs of fans and event attendees. The big challenge comes in finding an integrated way to meet every connection need in a form that enhances the fan experience. There’s no middle ground in meeting coverage and capacity needs of the digital age where UX is paramount to the bottom line. To meet these large venue WiFi needs, your network architects and IT teams must do more than add hundreds of antennas and APs. They will need to find an integrated connectivity solution for stadiums and arenas that can meet the varied on-demand needs of twenty thousand or more fans. The typical stadium can call for as many as a thousand APs to meet coverage needs for 20,000 fans with smartphones. This requires micro-cell design using highly directional antennas and finely tuned systemwide management of the RF power levels and channel assignments across hundreds of access points. A highly scalable SD-WAN makes for an agile networking foundation for maximum WiFi interconnectivity and real-time interactivity. The combination of next-gen WiFi, SD-WAN, and IoT work together to achieve the goal of meeting user demands while providing ways a venue can monetize the valuable data captured while providing fans with WiFi access. WiFi system design, integration, security, and performance optimization require careful planning. Most stadiums have a mix of events with different patron density and user needs. Map out the optimal placement for each AP based on projected human and internet traffic based on take rate (the percentage of mobile devices connected simultaneously) and individual sector density. Develop comprehensive patron traffic and congregation patterns where they are most likely to use their phones. Create a comprehensive map of mixed media and connectivity services that patrons will access. Integrate network design accommodation for 802.11ac to increase bandwidth availability for HD video and the number of clients supported by an AP for next gen stadium WiFi network connectivity. Calculate how best to constrain individual AP coverage without overlap. These individual aspects work best when combined into a holistic network that is capable of monitoring and handing off user phones from one local access point to the next without the attendees needing to reconnect as they move throughout the venue. 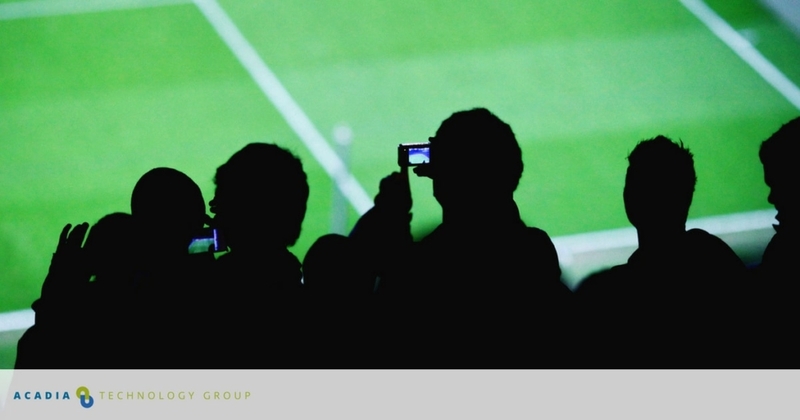 To provide truly agile connectivity and networking for diverse stadium services, high-density WiFi systems must be integrated with granular control. Legacy stadium WiFi systems have set-ups with large cells that have limited frequency range options. Without access to higher order frequency bands, the WiFi system will suffer from more interference challenges and AP overlap that will degrade user experience. Today’s highly integrated connectivity solutions for stadiums and arenas like the Cisco Connected Stadium Wi-Fi solution provide small cells and higher order frequency options. This makes it much easier to optimize the WiFi system for each individual location while making it resilient to interference and overlap that can require patrons to constantly rejoin the network. High-density systems must use antennas capable of generating tightly focused beams as narrow as 20 to 30 degrees designed to work seamlessly with high-performance dual-band APs. This enables fine-tuning of APs, channel assignments, and RF power levels during implementation to help ensure proper coverage. The result is a system that requires fewer adjustments to maintain optimal coverage. Software algorithms do the heavy lifting of automatically tuning the wireless network to the constantly changing RF environment while detecting, classifying and mitigating RF interference. Additionally, these systems must include RESTful API and software-defined networking compatibility so that the network can easily be reconfigured to meet changing needs. As scalability challenges grow, high-density deployments are a growing piece of the WLAN landscape. WiFi for stadiums and arenas must support the demanding access and security requirements of a growing list of access needs. By creating a network that can integrate IoT solutions for stadiums and arenas, it’s possible to increase sales opportunities and fan experience simultaneously. A Cisco case study of the Denver Broncos shows how this can play out in a major stadium implementation. While stadiums and arenas all have individual needs, having large-scale WiFi system expertise can provide the support needed for an optimal system design and implementation. By partnering with Acadia Technology Group your IT team has access to the tools, resources, and ongoing guidance you need to provide fans with the best experience possible at your venue.